In a Nutshell: Data is precious. Despite our best efforts to protect it, however, data does get lost or damaged, whether it’s client records for a business or a couple’s cherished wedding photos. While a slew of data recovery software packages are available, many are cost prohibitive or charge for multiple formats. Meanwhile, IsoBuster is designed to be cost-effective and support all types of data sources. 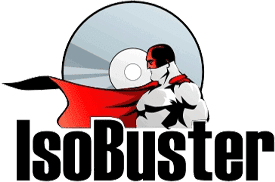 Even when you think your data is gone forever, Isobuster can help you recover information from hard drives, flash drives, and even relatively obsolete formats, like CDs and DVDs, at an affordable price point. I still get a sinking feeling in my stomach when it comes to mind. It was the senior year of my undergraduate studies, and I had been working for two weeks on a final project for an African literature class. Thumb drives were the order of the day in 2005, and I had a good system of backing up important files, generally being careful about version control, and always ensuring the drive had properly saved and ejected before pulling it out of the machine. The morning before the project was due, it happened. I was going over the works cited page of my masterpiece when my PC desktop rebooted. The computer restarted to a series of phishy popups, and to my utter shock and dismay, almost everything from the last two years on my thumb drive was gone — including my project. Preventing scenarios like this is why software engineer and tech veteran, Peter Van Hove, developed IsoBuster. This highly specialized and cost-effective file data recovery software is capable of salvaging seemingly lost data from almost any type of data source, including hard drives, USB flash drives, CDs, and floppy disks. Peter’s product stands out thanks to his more than 22 years of experience in data recovery, his DIY approach, and the affordability of his powerful software application among more expensive solutions. If I had known about products, like IsoBuster, my tale of lost data might have had a happier ending — one that didn’t end with me asking for an extension from my professor and re-writing my final project on a time crunch. In the grand scheme of things, all I lost were Word documents and time. However, for businesses, far more is at stake. Depending on the size of the operation, data loss can cost companies years of work — and substantial amounts of money. According to IT Web, as more consumer and enterprise data becomes digitized, the cost of data loss will top $2.1 trillion by 2019. Part of why IsoBuster is so affordable is that Peter started it as a hobby while learning C++ (a popular programming language), which meant that there was no immediate need to start making money on the project. IsoBuster is a data recovery solution for individuals and small businesses alike, not just because of its overall effectiveness, but also that all-important price point. Many similar software packages on the market are not only more expensive, but they often charge extra for more than one type of media or file system. Many competitors also charge $1 per gigabyte, meaning you could pay upwards of $3,000 to recover lost data from a 3TB drive. IsoBuster’s most basic version is available for free. A “Personal License” for individuals is available for $39.95 and a “Professional License” for businesses of all sizes is $59.95. 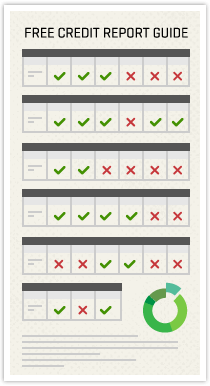 The list of associated features for each license is so extensive, it would take a separate post to simply list them all. Needless to say, the complexity of the data recovery offerings is scaled according to need, and the going rates are still much cheaper than other products on the market. During a recent move, I began purging boxes of stored, forgotten things in an attempt to consolidate my belongings. In doing so, I came across an old plastic grocery bag with nine or 10 burned CDs a friend had given me years ago, full of photos from a trip we took to Europe together. They weren’t in cases and had been shifting around in this bag for years, so they weren’t in the best shape. I spent a minute or two wondering what to do with them before shrugging my shoulders and (regretfully) tossing them in the trash. Had I come across a program like IsoBuster before then, I would have certainly held onto them. IsoBuster is capable of extracting data from countless, old formats, even if they’re “bad or trashed.” As we mentioned, IsoBuster’s abilities to recover data are extensive. 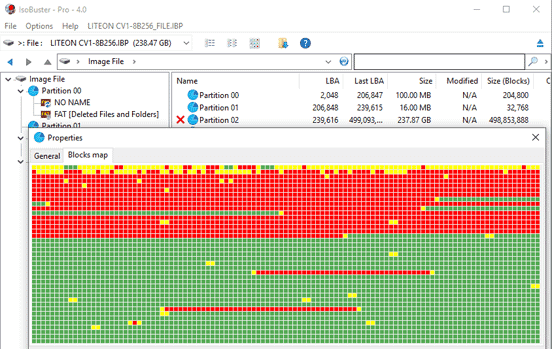 IsoBuster helps people recover data by identifying the damaged portions of various file types. The common formats are all covered — hard drives, CD/DVD, BD/HD DVD, SSM, USB flash drives, ZIP drives, JAZ drives, even old floppies, as well as many highly specialized formats I had (admittedly) never heard of. For businesses with important records on outdated disks, or just nostalgic ex-nomads like myself wishing to relive old adventures, IsoBuster provides the key to unlocking doors to data and photos that would otherwise remain sealed forever. Most data recovery offerings provide some type of support, whether online or over the phone. But as anyone who has ever called a support line for any reason whatsoever already knows, it seldom goes smoothly. And if the help section doesn’t solve the issue you’re trying to straighten out, you can always reach out to IsoBuster directly — which means you’ll be getting help directly from Peter, who is the one-man team behind the product. Yes, if you contact the company, Peter will be the one responding. He’s the CEO, developer, marketer, IT help, and support person all in one. This kind of personal relationship and involvement with IsoBuster is one of the principal reasons it’s been so successful. His entire focus is on supporting his software and the customers who use it. If a piece of data has any worth at all — financial, sentimental or otherwise — protecting and preserving that data should be taken very seriously. IsoBuster has proven its mettle over the past couple of decades with glowing reviews from hundreds of magazines, newspapers, reference books, newsletters, tech organizations, businesses, and individual clients. PCWorld reports “IsoBuster recovers files from just about anything.” PC Magazine adds, “IsoBuster can find more kinds of errors than we knew existed, and its options for saving images and data are very flexible.” And PCUPDATE magazine, a premier tech magazine in France, elected IsoBuster as winner of a rigorous CD and DVD recovery test and as a best-price, quality solution compared to the competitors. Whether it’s a flash drive with your final project, a box of old floppy disks, or damaged DVDs and CDs, there is still life left in your otherwise mostly extinct formats. For instance, if you’re a small to mid-sized business and have inaccessible tax records on old hard drives or disks, IsoBuster can help you regain access to these important records.